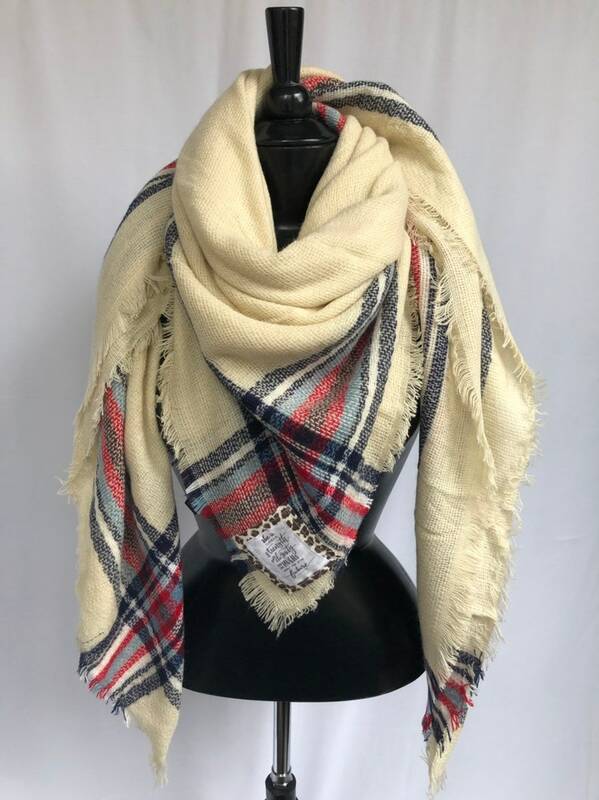 This is a beautiful cream Scripture blanket scarf with navy, red, brown, and blue plaid. The verse is Proverbs 31:25. The fabric is 100% acrylic.